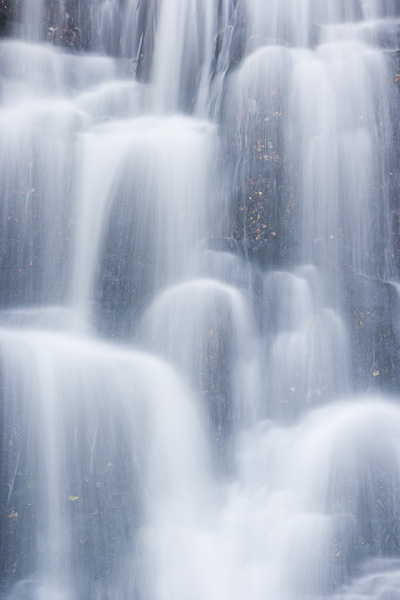 This waterfall tumbles over a small drop, cascading over a number of rocky outcrops. This, along with a long exposure, results in the veils seen here. The exact effect of the exposure time was hard to predict so a number of speeds were used. Another challenge when photographing waterfalls is spray droplets gathering on the lens, which needed regular wiping between shots. Photo © copyright by Graham Chalmers.